This performance explores a very rare dynamic movement quality not seen on aerial silks very often. As a child, Luke was always driven to pursue an acrobatic career. He was constantly found upside down and swinging on the Hills Hoist in his backyard. 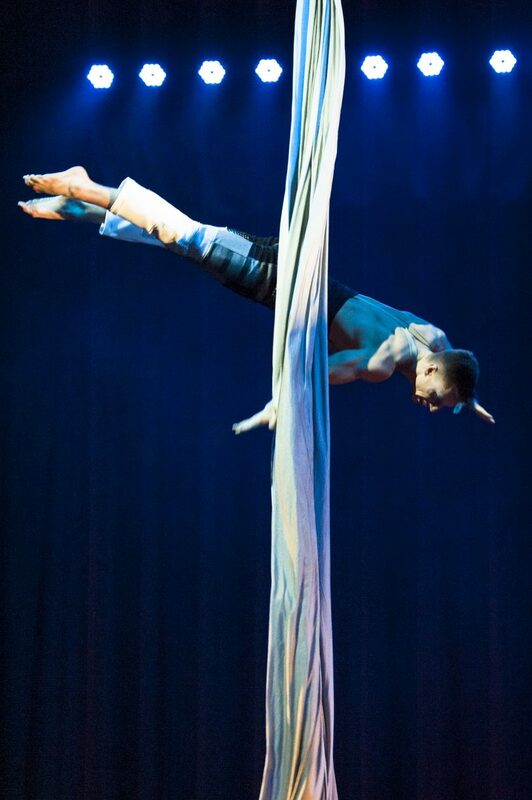 At age 11, he joined Circus 35° South, and trained aerials, tumbling and manipulation with them for 7 years before accepting a coveted place into the bachelor course at the National Institute of Circus Arts Australia. During his three years at NICA, Luke has specialised in tissu, foot juggling and group acrobatics. As a result of his meticulous attitude, Lukes work combines ethereal skills, sublime movement and artistic integrity. He is diligent as a creator, knows his limits and is autonomous.